History of the city is divided into 6 phases, stages of development: Patlachique, Tzacualli, Miccaotli, Tlamimilolpa, Xolalpan and Metepec. This division is based on stratigraphic data and on the characteristics of ceramic styles of different time periods. However, we are not sure for the precise definition of temporal boundaries of these phases due to the small amount of archaeological data and the imperfection of radiocarbon dating. This place is considered sacred and attracted people. It was here, according to legend, in early times were born gods of the sun and moon, and was launched by the fundamental law of the world. In the 1 millennium BC in this area has been increased seismic activity in the earth. Perhaps people of the city had to restore their homes and temples. From 5 th century BC settlement begins to grow and develop rapidly. In 300 BC settlement into a real city. The city later settled around a central axis (“Avenue of the Dead”) and was divided into four quarters with a large public buildings, places of worship, markets, palaces and houses. The whole territory of Teotihuacan was paved with slabs of gypsum. Buildings of the city had the floors of mica and stone walls of the houses were covered with pieces and painted scenes from mythology and rituals, or decorated with bas-reliefs. By 200 BC the city operated the irrigation system and water from lakes spread over an extensive network of canals. Residents of the city were engaged in farming and handicrafts. 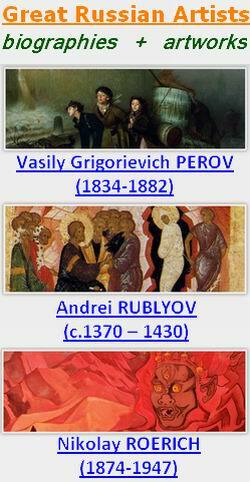 They became widely known as an excellent potters, architects and artists. Thanks to its talented residents of Teotihuacan the city grew from a small village into a magnificent religious center and gained fame and an abundance of natural beauty. For the construction of the pyramid of the sun there was employed about 20,000 workers who built it for 30 years. Initially the height of the pyramid was about 71 meters, and now it is 64.5 m. The perimeter of the base – about 900 m. The Pyramid of the Sun is the third in the list of the biggest pyramid in the world. Pyramid of the Moon has a height of 42-46 m. It is approximately half of the pyramid of the sun. Pyramid is located at the earth embankment so that the height is almost identical to the Pyramid of the Sun. It is believed that it was built before the pyramids of the Sun. staircase – located in the center. From 200 to 500 AD Teotihuacan is an empire. The city-state is dominant over the whole of Central Mexico. In that period begins the expansion to the south. 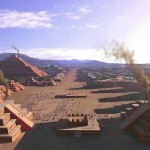 Teotihuacan comes to town Kaminaljuyu and in its place people constructed a miniature copy of their capital, which became the south-eastern outpost of the empire. Teotihuacan also came to Tikal and Uashaktun and they become its protectorate. 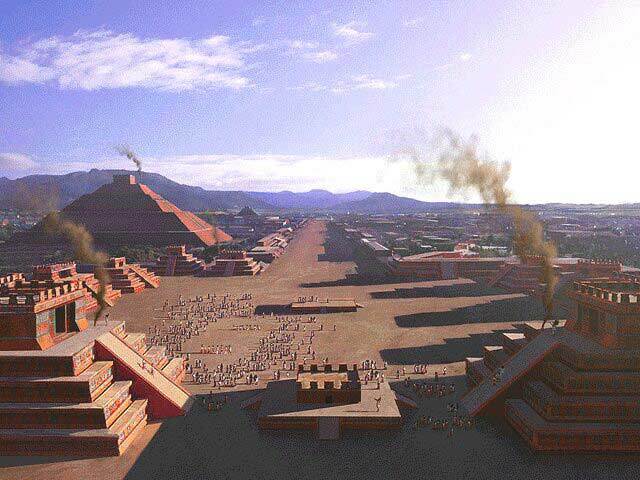 In 250 AD Teotihuacan with Kaminaljuyu emerging trading alliance with Tikal. In 377 AD leader of the army of Teotihuacan Siyah-Kak (“Was born fire”) invaded the land of the Maya, killed Chak-Tok-Ichaak (“The Great Cloud’s paw”) and established there the power of the king of Teotihuacan, the “Owl-Spearthrower”. His young son Nun Yash Ayin-I (“green crocodile”) in 378, was put on the throne of the kingdom Mutul with the capital city of Tikal. However, there is no consensus among historians whether the theory of the origin of a new dynasty of Tikal from Teotihuacan is true. The flourishing of the capital of the empire (Teotihuacan) is 400 AD. when its population was (according to different estimates) of 85000 to 200000 and an area 21 – 30 square km. It was the 6th city in the world by value in that period of time. In the 500 AD Tikal was already inhabited by people of Teotihuacan and they bring in their own customs, rituals and sacrifices. By the end of 6 th century AD begins sunset of the city. The influence of Teotihuacan on the Mayan city is reduced to a minimum. By the beginning of 7 th century Teotihuacan losing their possessions in Central Mexico. Between 600 and 650 AD was the fall of Teotihuacan. It is believed that it was conquered, and then burned and destroyed by outsiders – Chichimecas.